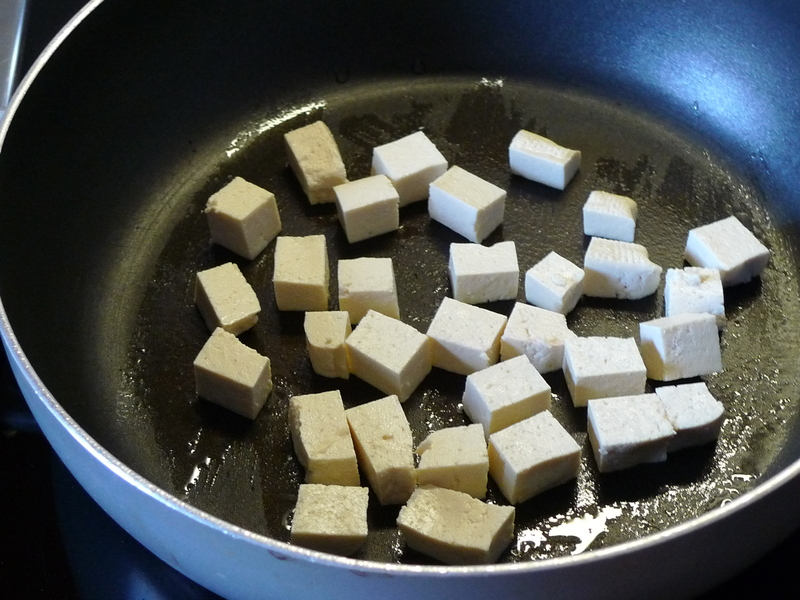 STEP 1: Cut the VegiBelle into small cubes and fry lightly in a pan. Keep aside. VegiBelle by Tofu Nagel is a fermented tofu “cheese” which is now also available under a different brand name as “Feto” by Taifun Tofu. STEP 2: Wash the spinach and remove large stems. Cover with boiling hot water and let it soak for a few minutes. Strain and immediately put into ice cold water for a few minutes to preserve the green colour. STEP 3: Put the spinach in a blender with some ginger and grind into a fine puree. Keep aside. STEP 4: In a pot or pan, heat some oil and add the cumin seeds and bay leaf. Fry briefly and add the finely chopped onion. Fry until the onion turns golden brown. Add finely chopped garlic and stir well. Add chopped tomato and fry until it softens. Add turmeric powder, chili powder and asefoetida. Mix well, then add the spinach puree and water (as needed) and mix again. STEP 5: Add cheese cubes and simmer for a few minutes without a lid. Season with salt and garam masala powder. Garnish with vegan cream and fried chilies and serve hot. Enjoy! 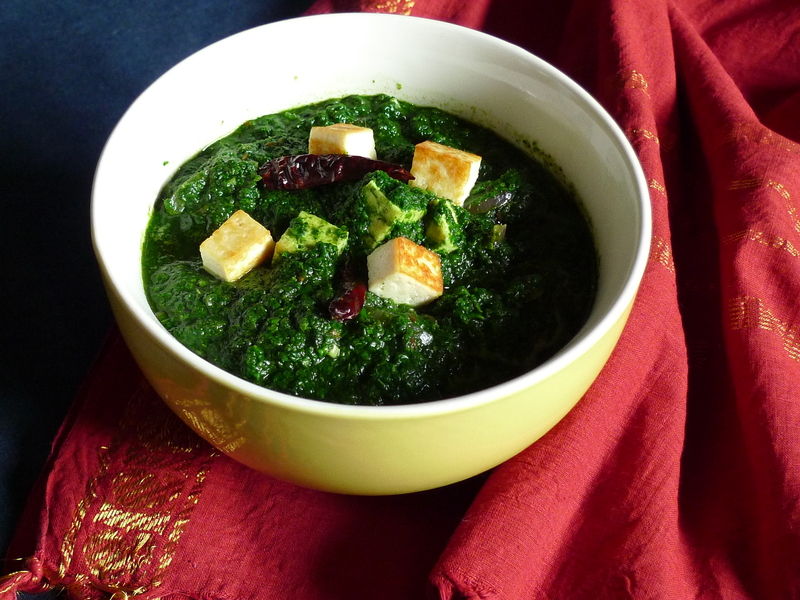 Most vegan recipes for Palak Paneer use tofu. While this works well, an even tastier and healthier option is VegiBelle Pur by Tofumanufaktur Nagel. 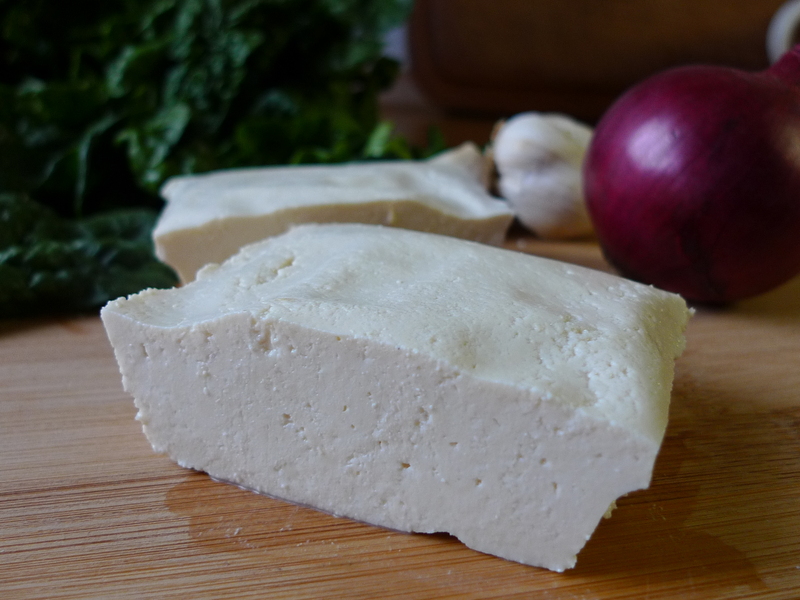 VegiBelle is also made of tofu, but it’s actually fermented like a traditional cheese! 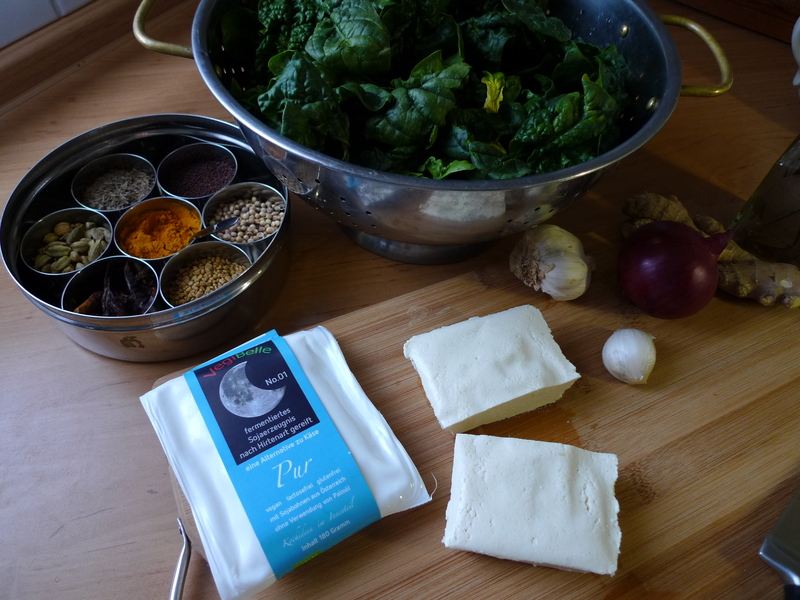 The taste and texture are phenomenal, very close to dairy paneer, and the fermentation process makes the soy easy to digest. As you can see in the pictures, VegiBelle takes well to frying, too.